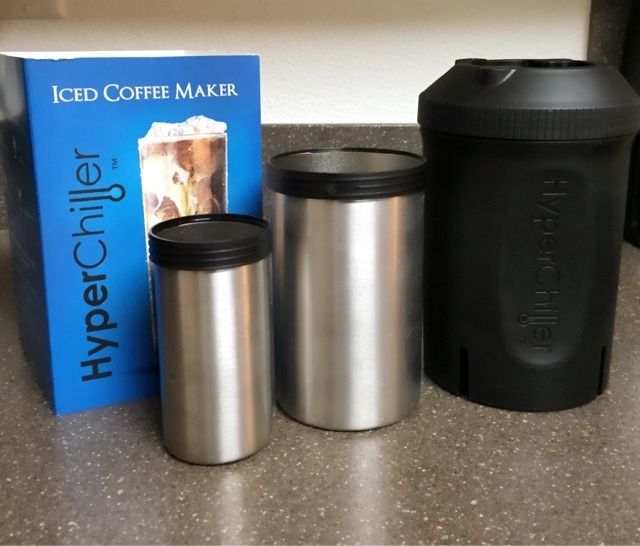 HyperChiller is an Iced Coffee Maker. It makes the perfect iced coffee with any brewing method. No more waiting, no more recipes, just results. As hot coffee enters the HyperChiller, the multiple layers of stainless steel and ice will rapidly chill it with zero dilution. 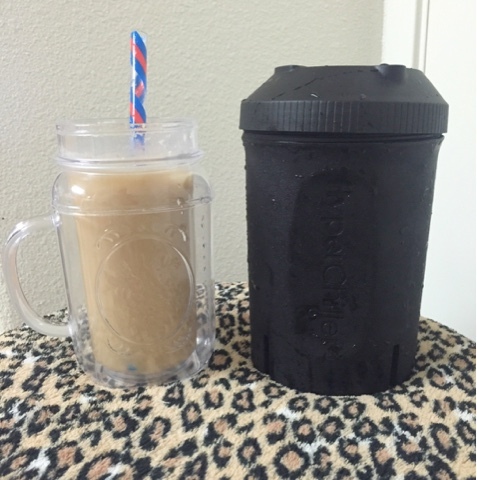 It turns hot fresh coffee into a perfect iced coffee in as little as one minute. It can also chill whiskey, wine, iced tea and martini's. I have my coffee every morning and I was curious to see if my hot coffee would turn into cold coffee in a matter of minutes. First, I needed to fill water in two of the three stainless steel cups and freeze for 12 hours. Once frozen, make your coffee and pour your hot coffee into the HyperChiller for one minute, gently swirl it every few seconds to keep the coffee moving. After one minute, pour your coffee over ice and it's ready. I was quite impressed how cold my coffee was after just one minute. I added ice and it was ready to drink. It also comes with easy to follow instructions. I would recommend this product if you want instant iced coffee. It works great! Now I can make ice cold coffee whenever I want.